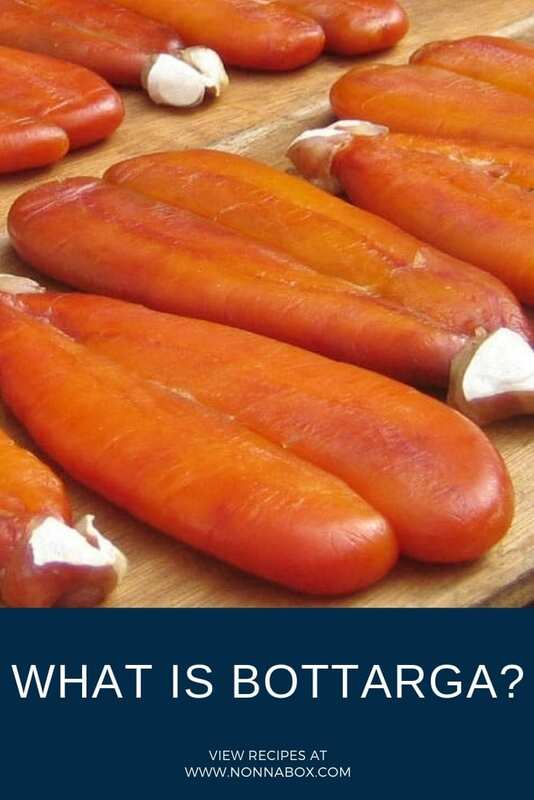 What is bottarga? How Does It Taste Like? BOTTARGA VS. CAVIAR: WHAT’S THE DIFFERENCE? Bottarga is an unfamiliar name to many, but this distinctive ingredient can be found in a wide range of Italian, Spanish, Arabic, Portuguese and Greek cuisine. Often referred to as the “poor man’s caviar”, bottarga (also spelled “bortago”) is the salted and dried egg pouch (roe) of either tuna or grey mullet. This culinary gem is often described as having a flavor similar to dried anchovies due to its notably salty “bite”, but it also features a surprisingly smooth and silky texture. Similar to how truffles are used, bottarga is often grated or crumbled over various pasta dishes, vegetables, eggs, salads, etc., to add a wonderful rustic accent, but it can also be sliced into small wedges and served as a standalone appetizer. While bottarga is not quite as expensive as caviar, it is still a highly sought-after delicacy, and has earned a reputation as a gastronomic delight for discerning palates the world over. But let’s dive more into what is bottarga exactly. The process by which bottarga is made is as intriguing as the flavor of the ingredient itself. In accordance with a centuries-old Mediterranean tradition, the egg pouch is carefully removed by hand from the tuna or grey mullet, and then washed and massaged until all of the air pockets are gone. The egg pouch is then salted and pressed into its characteristic oblong shape, and air dried for several weeks until it turns into somewhat of a dense, amber-colored tablet. The bottarga is then sliced into elongated strips and dipped in beeswax to preserve shelf life. While bottarga can be found all over the Mediterranean region, its main areas of production (and popularity) are Sicily and Sardinia. The tuna version of bottarga (Bottarga di Tonno) is primarily produced in Sicily, while Sardinia lays claim to some of the best Bottarga di Muggine (grey mullet bottarga) on the planet. Incredibly, the practice of salting and drying grey mullet roe dates back to the days of antiquity, where ancient writings suggest that the Phoenicians enjoyed this delicacy, as did the Egyptians. In fact, several ancient Egyptian murals depict fishermen engaging in the same extraction, cleaning, salting, and drying process by which bottarga is made today. In addition, the Greeks and Romans incorporated bottarga into their culinary culture, but they also considered it a valuable good for trade and gift-giving as well. Although bottarga is synonymous with the Mediterranean region today, it actually originated with the Arabs, who are widely credited for having brought “battarik” (Arabic for “raw fish eggs”) to the area. 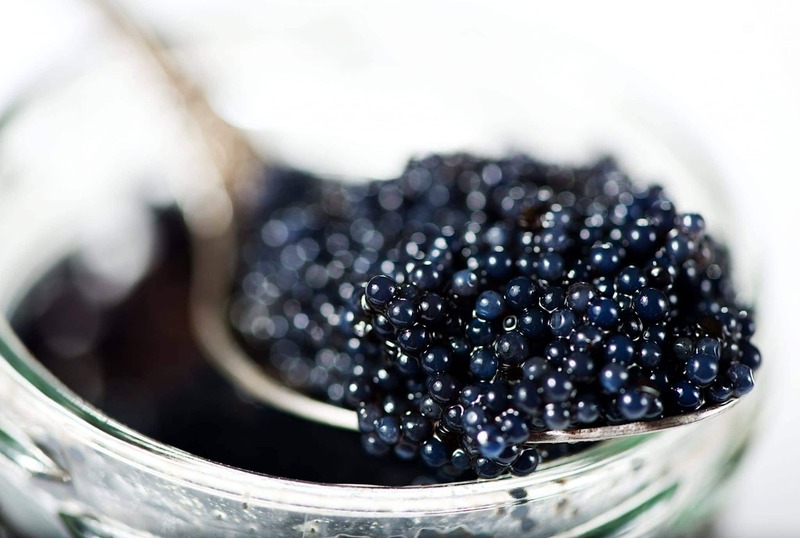 So what is the difference–if any–between bottarga and caviar? Well, keep in mind that you’re referring to fish eggs either way, but there are a couple of important distinctions to point out. For example, in the United States and Canada, only roe (fish eggs) derived from sturgeon can be labeled as “caviar”, while roe from any other type of fish must be labeled to include the name of the fish, such as salmon roe, whitefish roe, trout roe, carp roe, etc. Since the eggs used in bottarga are primarily harvested from tuna and grey mullet, they cannot technically be called “caviar”, but the process used to create both of these delicacies is quite similar. Both bottarga and caviar undergo a salting and curing process before being converted into the final product, but due to the differences in sourcing criteria, caviar is significantly more expensive, commanding anywhere between $100 to $1,000 an ounce. By contrast, the average price of bottarga can range from $6 to $18 an ounce. Tuna and grey mullet bottarga each have their distinct characteristics, and based on your own palate’s preferences, you might favor one type of bottarga over the other. The flavor of tuna bottarga is significantly saltier and more robust than its grey mullet counterpart, so for those who like their dishes to pack more of a punch, tuna bottarga is right up their alley. Generally speaking, grey mullet bottarga is considered to be more desirable due to its smaller egg pouch, as well as its more delicate flavor, which tends to complement a wider range of culinary preparations. 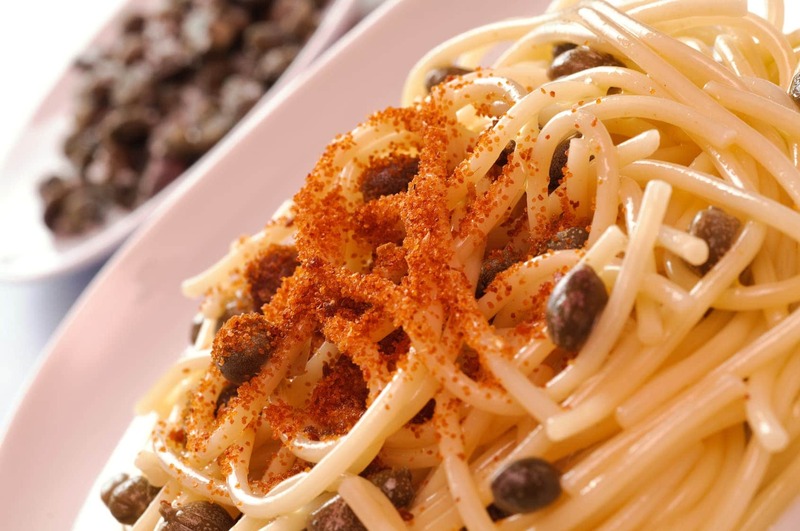 In Sardinia, one of the most popular applications for bottarga is to grate it over spaghetti, tossing it with the noodles and olive oil. The bottarga will then cling to the noodles (due to the olive oil), giving off a golden hue that makes it look similar to curry. When eaten like this, the bottarga adds small explosions of salty, fishy flavor that can really “wake up” your palate. A popular antipasto in Sardinia is grated bottarga over stalks of raw celery. Bottarga is often grated and served over raw, roasted or steamed vegetables, such as broccoli or cauliflower. You can slice or grate a small amount of bottarga into a salad of sliced cherry or roma tomatoes and fresh basil. Bottarga is often grated over slices of buttered bread for a delicious (and somewhat sophisticated) toast with a kick! Try grating bottarga over an omelette or a nice batch of scrambled eggs. Other Italian dishes such as risotto are a good fit for bottarga as well. Of course, you can always enjoy small slices of bottarga by itself, but be sure to cut that salty flavor a little bit by sprinkling it with lemon juice. One of the great things about bottarga is that you don’t have to use much of it to make a remarkable impact on the flavor and quality of your dish. You can grate, crumble or slice it as needed, and then wrap and refrigerate the rest–don’t worry, it will keep for months. With the bold and robust depth of flavor that this brilliant delicacy provides, you can bring new life to classic recipes, and transform an ordinary dish into an extraordinary culinary creation!